Good Morning and Happy Sunday ! in the kitchen .. It is all decorated for winter .. 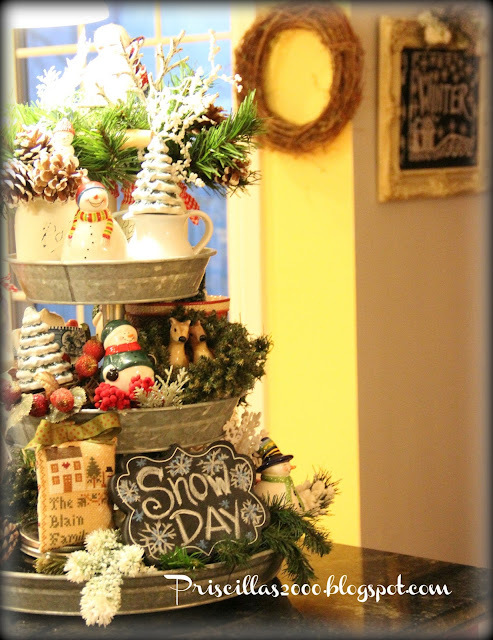 There are salt and pepper shaker snowmen ..a little chalkboard and even a cross stitched ornament this time .. 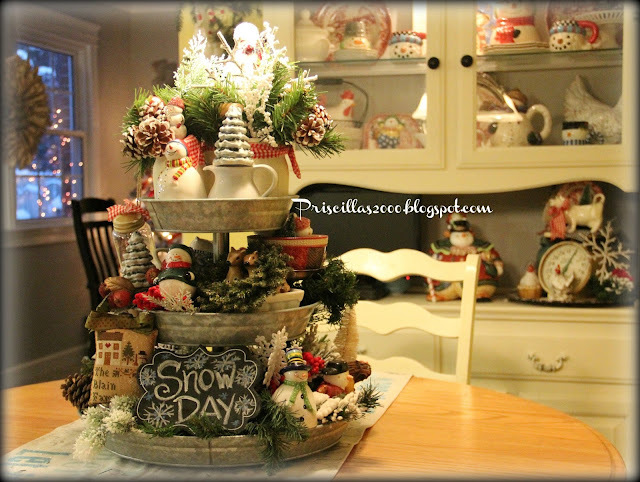 Painted mason jars.. pine cone pics and lots of winter greenery .. I kept the little wreath around the BHG deer salt and pepper shakers from the Christmas tray .. they were too cute to move :) The tree salt and pepper shakers are also BHG at Walmart ..
A lot of the snowmen have come from thrift shops and estate sales.. 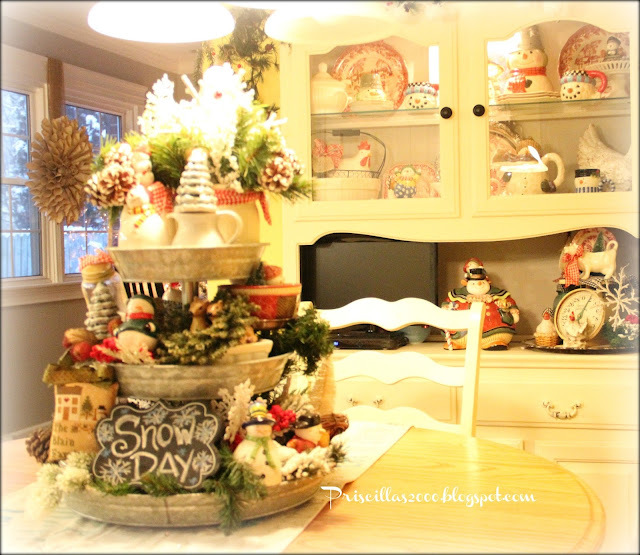 I like it best on the kitchen table ..but it is also cute on the counter ..
Hope you are having a great weekend .. I saw your cute Winter chalkboard project at Barnes & Nobles Bookstore. I thumbed through a few cross-stitch magazines. You have inspired me with your cross-stitched my way through 2015 post!! Oh, snowmen are my very favorite. 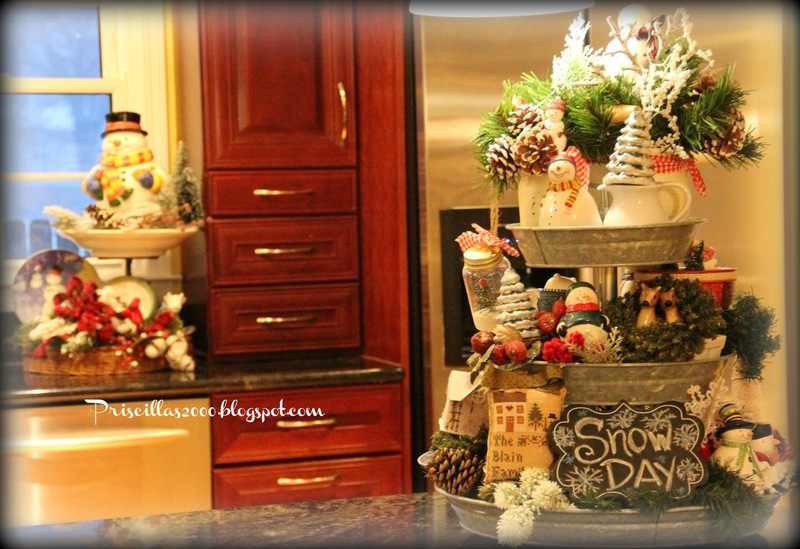 I had my galvanized tray decorated with snowmen during Christmas. 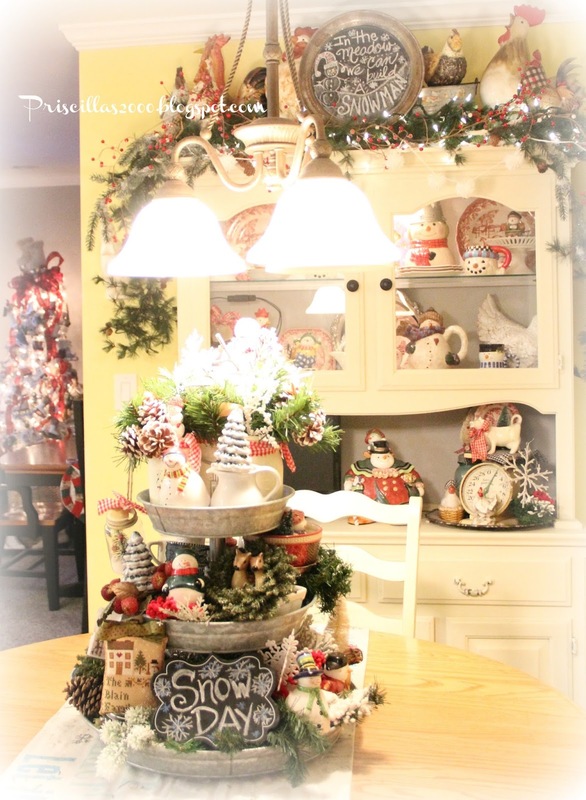 I just love the way you decorate! 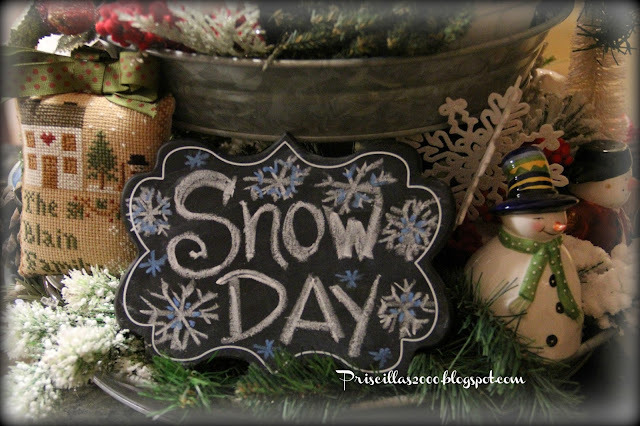 Happy Winter time to you! The winter tray looks just great! I always put my snowmen away with the Christmas decorations. I really should keep them out. It would definitely help with the lack of decorations after the holidays. 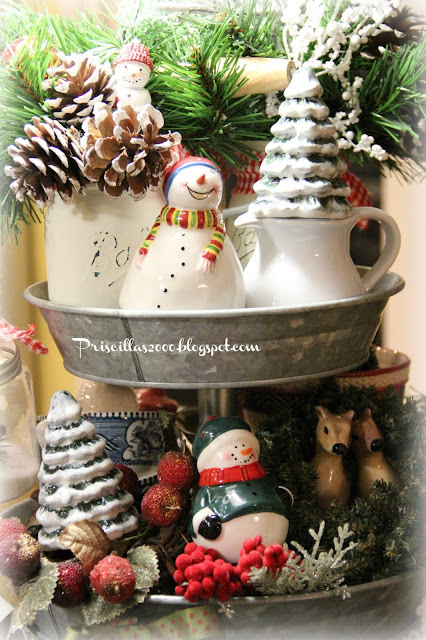 I love the way your galvanized tiered tray looks. I would love to have one of my own, but there is nowhere to put it. I have to look for other options. Toooooooo cuuuute !!!! Love it so much!! Love your decor! Are your trees still up!!! How many storage rooms do you have! Ha! Love the tiered tray as a way to gather a collection - it looks great with all the snowmen gathered for winter! Also, your white hutch is gorgeous! Such a cute display! I like how you've filled every space and used varying heights to please the eye. My fave is the Snow Day chalkboard - really creates a focal point. Visiting from Saturday Sparks. LOVE,LOVE,LOVE this!! I really have to find somewhere to put mine so I can play with it! !